According to a new study from Lund University, there is a significant risk that plastic waste in the environment discharges nano-sized particles called nanoplastics. Nanotechnology has a significant role in eliminating toxic chemicals from the soil. At present, over 70 Environmental Protection Agency (EPA) Superfund sites are adopting or investigating the use of nanoparticles to degrade or eliminate environmental pollutants. One of the primary health concerns worldwide are the critical conditions caused by the blockage of blood vessels. The main aim for emergency assistance during the onset of such conditions is to efficiently implement thrombolysis - dissolving the clot quickly. ITMO University researchers in collaboration with Mariinsky Hospital in Saint Petersburg have created a magnetically controlled drug that could condense on a blood clot due to the presence of a magnetic field. A workshop organized last year by the PETA International Science Consortium Ltd has resulted in an article published today in the journal Particle and Fibre Toxicology. It describes aerosol generation and exposure tools that can be used to predict toxicity in human lungs following inhalation of nanomaterials. Anti-odor athletic clothes containing silver nanoparticles have gained a foothold among exercise buffs, but questions have arisen over how safe and effective they are. Now scientists report in ACS' journal Environmental Science & Technology that silver nanoparticles and coatings do wash off of commercially available garments in the laundry but at negligible levels. They also found that even low concentrations of silver on clothing kept microbes at bay. Dr. Nadja Spitzer of Marshall University’s College of Science has been awarded a prestigious CAREER award from the National Science Foundation. Keywords such as nano-, personalized-, or targeted medicine sound like bright future. What most people do not know, is that nanomedicines can cause severe undesired effects for actually being too big! Those modern medicines easily achieve the size of viruses which the body potentially recognizes as foreign starting to defend itself against - a sometimes severe immune response unfolds. Iron nanoparticles injected before magnetic resonance imaging can make tissues more visible and the same nanoparticles may allow doctors to precisely target tumors with new medicines. 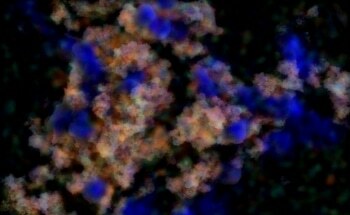 Elsevier, a world-leading provider of scientific, technical and medical information products and services, announces the launch of NanoImpact, a new multidisciplinary journal that is devoted to publishing cutting edge research addressing the behavior and impact of nanomaterials on human health and environmental systems.